The Covered Calls Strategy is like running a family farm. To bring life to the covered calls strategy I am developing this website to provide a comparison between buy/writes and managing covered calls to life on a family farm. Well, I thought it would be fun to take an old strategy and make it easier to understand. When some friends and myself begin applying the CCS we had fun describing some of the things we were doing as planting the crops, the harvest, crop rotation, storm damage, etc. There are many good books on the subject (Seed Store), some rather complex IRS regulations on how covered calls are taxed (publication 550) and other related stuff. The Covered Calls Strategy can be a good strategy to improve your overall portfolio performance. However, as with any market strategy all involve market risk and understanding how they work is a key to success long term. read the about Ron section you will better understand my situation. I am retired and I have fully adopted the covered calls strategy for investing my retirement assets. I spend a good portion of my days managing the investments and work on the website as I have time. So I really am a working farmer who is not just describing a strategy but applying it everyday to my own assets. Overall, it has been successful. I have made mistakes which are my learning tools just like planting the wrong crop that doesn't grow. This site has already been a success for me as many of my friends have read the materials and several are collaborating on how we make more money together as well as protect our assets from the Storms in the market. To get started you should first review Build the Farm. NEW: Updated Section on the Harvest and Early Harvest. Closing positions early and the potential of increased profitability. Disclaimer: This site does not recommend any specific investments. Please consult with a certified financial planner or brokerage to discuss specific investments. This is not a site for profit but an educational site for a specific call option strategy that is well documented but doesn't seem to be fully understood. How much experience do you have in covered calls? Boomer's Guidebook to Double-Digit Investment Income (a strategy using dividend paying stocks/covered calls and/or Put Selling. How many months out do you write? Thanks to an Apple IPAD I am able to keep connected to my Covered Calls Farm whenever I travel. It's really important if you want to maximize your profits and make money on market ups and downs. 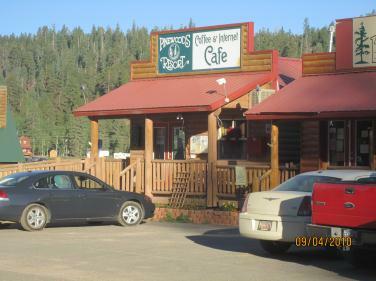 This is an Internet Cafe in Duck Creek, Utah I had breakfast and managed my farm a few months back. Great place and a fast connection since 3G was not available in the high mountains of Utah at this location. Farmer Ron Comments: Updated periodically with comments from me about the market and the covered call strategy. 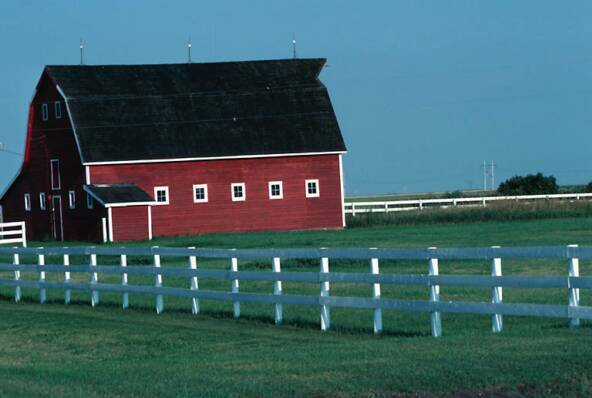 Welcome to the Covered Calls Farm where the Covered Calls Strategy is described using Farming Terminology and principles. 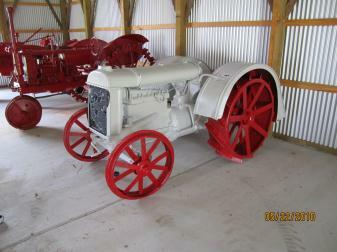 Photos, surveys and other farm related tools. New: Crops Updated: Redefined and added some crops to better reflect my account. Plan to start updating again in February 2012.